It’s a class on knitting lace, learning to mistress charts and feel more intuitive about your lace, and the entire class will be working on Ruth Garcia-Alcantud‘s pattern Chambourcin, we’ll be using the nested medallion motif from that pattern as a jumping off place for lace calisthenics. 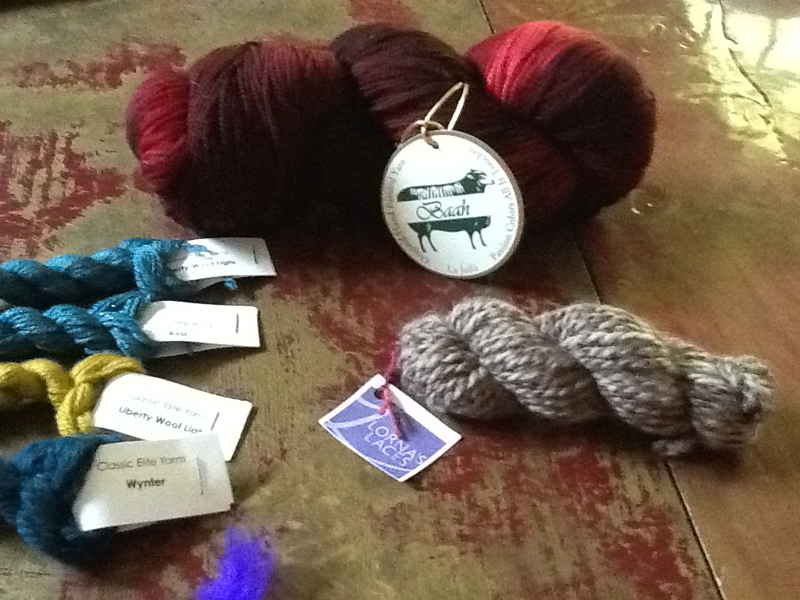 Recently I’ve been fortunate enough to play with some new yarns, well – new to me, so I thought I’d write about them on this hot, hot day with the thought of knitting with the alpaca blend I have on my needles is daunting! My friend, Laurie Gonyea (Feel Good Yarn Company) has started a new adventure with SILVER yarn! 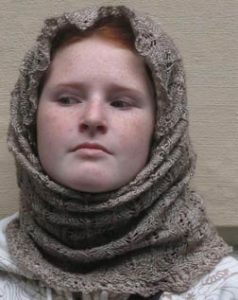 She’s producing an American made cotton & pure silver yarn that has an amazing softness, bounce and beautiful texture! Laurie sent me a skein a few weeks ago, I did some knitting up with it and it was extraordinary! There’s buzz that the silver can be helpful for arthritis, but I can’t really comment on that as I’m not a doctor. What I CAN comment on is that this is extraordinary yarn with a feeling different than just about anything else I’ve knit with. It has a firmness, yet is very soft and pliable. 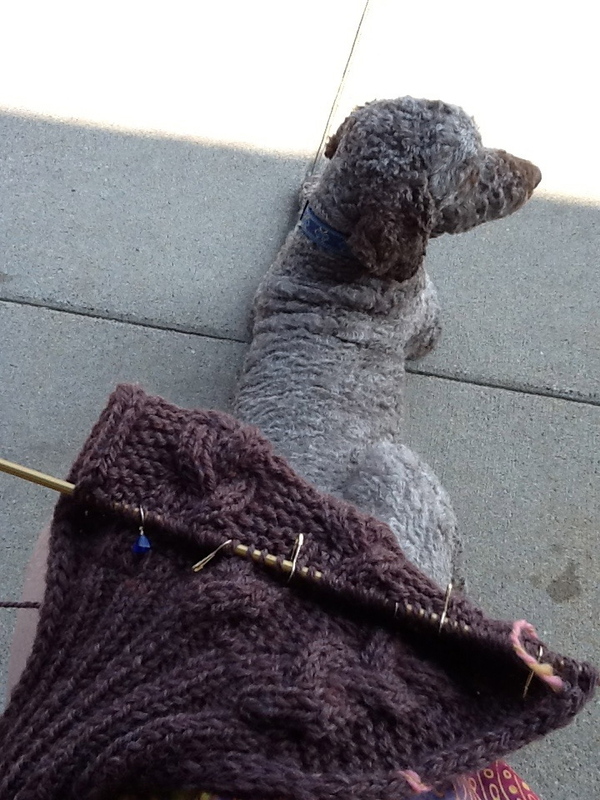 Laurie’s engaging in a Kickstarter campaign to help her get this yarn off the ground, I think it’s worth checking out! 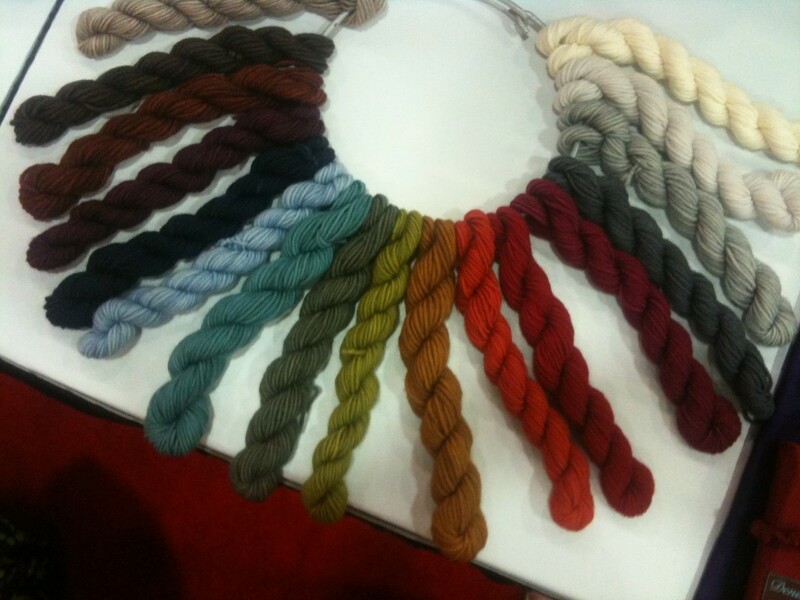 While at TNNA I was introduced to a few new yarn companies worth noting, and a few new yarns by established companies. This is the 3rd Anniversary of Pam Allen’s yarn company, but it’s the FIRST time I’ve used any of her lovely yarns in an editorial! I just finished a beautiful (well, I think it’s beautiful) balaklava for Interweave Crochet in Quince & Co Tern, and I enjoyed working with this yarn SO much! It’s got a great feel in the hand, good body, and the drape of the finished fabric is perfection! I haven’t used it for knitting, but I’m DYING to! 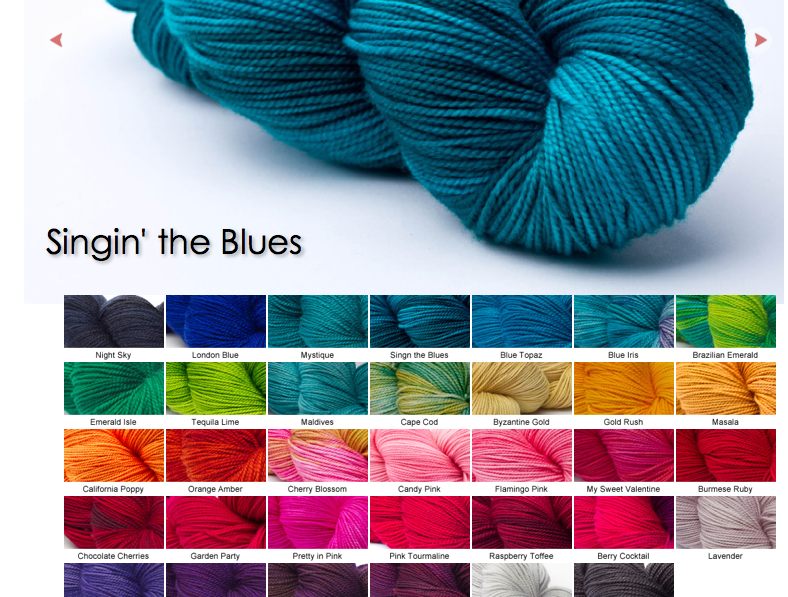 I think I’ll knit some up right now as a swatch for a new lace project / class! I was pretty much blown away by both the soft firmness (can you tell I’m a sucker for a soft, firm yarn…) AND by the beautiful array of colors. Not a new company, but I hadn’t really appreciated their rich, deep and satisfying palette until I spent some time handling it at TNNA this year. It’s gorgeous stuff! 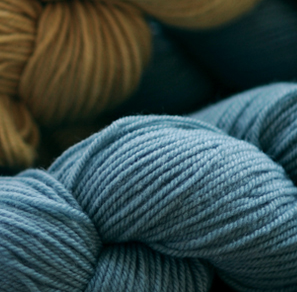 Organic merino and natural dyes combine to make a soul-satisfying palette. I’ve no immediate plans to use their yarns, but that’s not for lack of love! Maybe the editorial gods will conspire to do me a solid and hook us up in the future! I’ve been assigned a few pieces for the UK Magazine, The Knitter, using Drops Alaska and Nepal. They’re both beautiful yarns, Nepal has a bit of alpaca to soften it up, but Alaska is wonderfully soft wool on it’s own! In addition to a new marled yarn pictured above (I’m not sure if it’s out for public consumption yet…) LL’s just come out with some new colorways based on locations which have meaning for the LL staff. I love this idea, and I adore the colors! My favorite is Flushing – a beautifully masculine colorway, which would pair really well with a more feminine semi-solid for a totally different feel. Keep up the great work, Beth, Amanda and everyone at LL!